In what is hopefully the first of 9 victories on this homestand, the Milwaukee Brewers defeated the Atlanta Braves by a score of 3-2 courtesy of a Mike Cameron walk-off sacrifice fly. It was one hell of an ending to an exciting game, if at times frustrating, game. J.J. Hardy had a 3/4 night with two huge RBIs and recently maligned Bill Hall scored the winning run on the aforementioned sac fly. Pretty much every one contributed in some way, but probably the biggest story of the night goes to starting pitcher Dave Bush. The night started out seemingly on a powder keg as Bush allowed a solo home run in each of the first two innings, one being a rookie’s first career homer. Those two runs, though, would be all the Braves would get off of Bush or any other Brewer pitcher for that matter. Recently acquired Julian Tavarez pitched a perfect 8th inning on 8 pitches and Salomon Torres worked around one hit in the 9th and earned the victory on Cameron’s walk-off. All in all, a good night for the Brewers and hopefully the jumping off point for a strong homestand. The Brewers are, after tonight, a mere 3 games over .500 at home. Granted, they’ve only played a MLB-lowest 21 games at home, but even still, the Crew needs to pick it up. 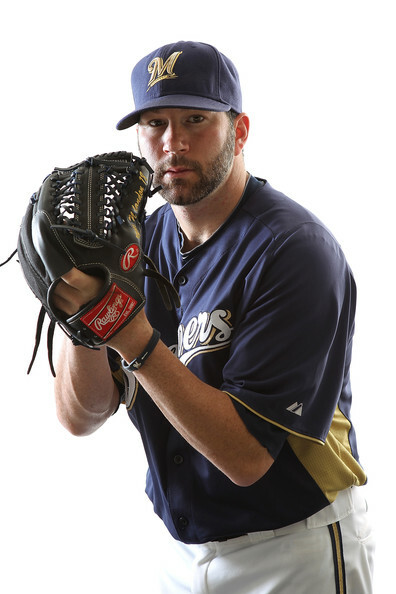 I’m very encouraged by the face that the Brewers now sit 2 games under .500 overall after having played 31 games on the road so far. That being said, if we pick up the pace on this homestand, we stand to be a few games over .500 by the end of it. The Braves have won 6 games on the road all year. We need to exploit that. Houston is only one game over .500 on the road, so we can hopefully use that to our advantage. Arizona, who had the majors’ best record at one point this year, did most of that work at home where they are 19-9. Away from Chase Field, they are 11-13. The point is, all nine of these games are winnable. We won one…let’s see how far we can take these next eight games.